Craig - Business OwnerCraig has had 30 plus years in business as CFO and CEO in a range of small and medium businesses. He is passionate about the level of personalised services the business can provide. Craig loves working with clients to ensure they achieve their objectives by supporting them with creative ideas and sound advice. He is very ably supported by experts in their field and whom share the desire to provide clients with unbeatable value, quality and service. Graham is a very talented designer who has taken our design offerings to a whole new level. 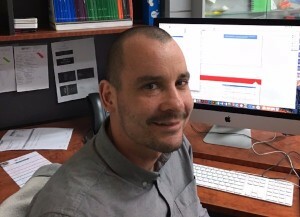 With years of design training and experience Graham can take client concepts through to complete design solutions. Graham is also great to deal with. He is a great listener and will work closely with you to ensure you are delighted with the outcome. 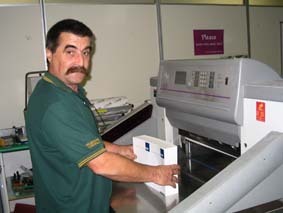 Ray is one of the most talented and experienced press operators in the industry. He has been in the print industry all of his working life - more than 40 years. Ray's knowledge and experience translate into the highest quality print jobs delivered in a very timely manner. He is so highly respected in the Minuteman group that he is often called on for advice and to undertake some of the most difficult and challenging print jobs. Minuteman South Melbourne has become something of a "hub" in the group undertaking much of the offset printing for a number of other locations.